Security Memetics: How Ya Doin', Chum? 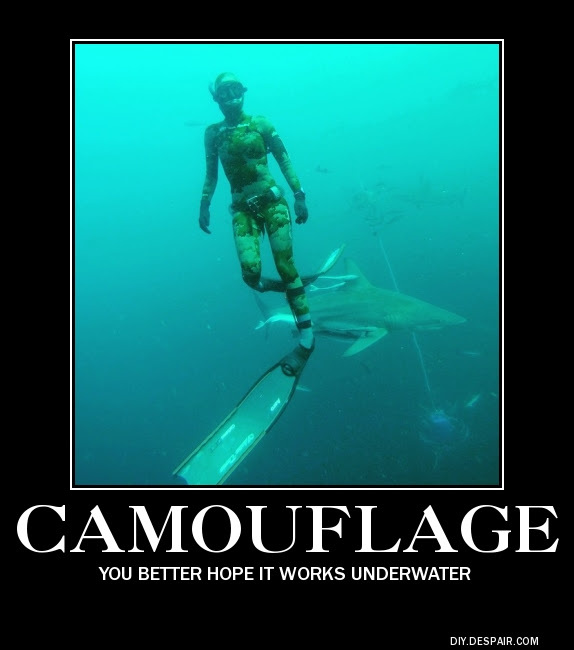 I really have to wonder whether she's actually not visible to the shark. It's hard to believe. Camouflage is meant to help you blend in, not disappear, and I don't see what she's blending in to.